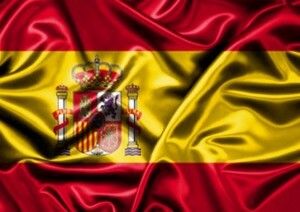 Spain set to reduce high gaming taxes. Spain’s rather high gambling tax rates could be significantly reduced if the new budget proposal gets the necessary approval. The current tax rate of 25% on gross gaming revenue would be set for a 5% cut if the Ministry of Finance approves this move. The new budget for the current year was presented to the Parliament after the Prime Minister Mariano Rajoy introduced new measures which included higher pensions and payments for civil servants in order to gain more support for the coalition. The “Tax on Gaming Activities” suggests the new tax rate be applied to the majority of online games. These measures should attract more online gambling operators to Spain, and help reduce illegal gambling activities. The government is certain the introduction of the new budget will eliminate tax discrimination in the majority of gambling operations, and believe such a criterion will get the necessary support from the European Commission. The proposal for Ceuta and Melilla land-based casinos would reduce the current tax rate by 50%, setting the new gambling tax rate on gambling revenue at 10%. Due to a significant growth in the Spanish online gambling industry, the Directorate General for the Regulation of Gambling (DGOJ) organized a public consultation in order to find the best possible way to regulate the country’s online gambling market. DGOJ is focused on applying the proper changes to the existing ministerial decrees in order to create a highly safe gaming environment for all players, with a special focus on the protection of minors and prevention of fraud, money laundering, and other illegal activities. The alterations of the decrees will clearly state which type of gaming can be offered under different licenses. DGOJ is also unhappy with the existing framework that regulates the commercialization of the certain games, so the updates will be provided in this area as well. The new games, such as daily fantasy sport (DFS) and bets on virtual sports or games will be played through live casinos, while the new modes of play for existing games will no longer have rather complicated requirements.